With easy, snap-in-place installation, this Toro Replacement Spool gets you back on the job faster. It features a 13-inch dual line cutting swath, powerful and efficient enough to take on challenging tasks. This spool fits Toro model 51488 and comes pre-wound for easy setup. 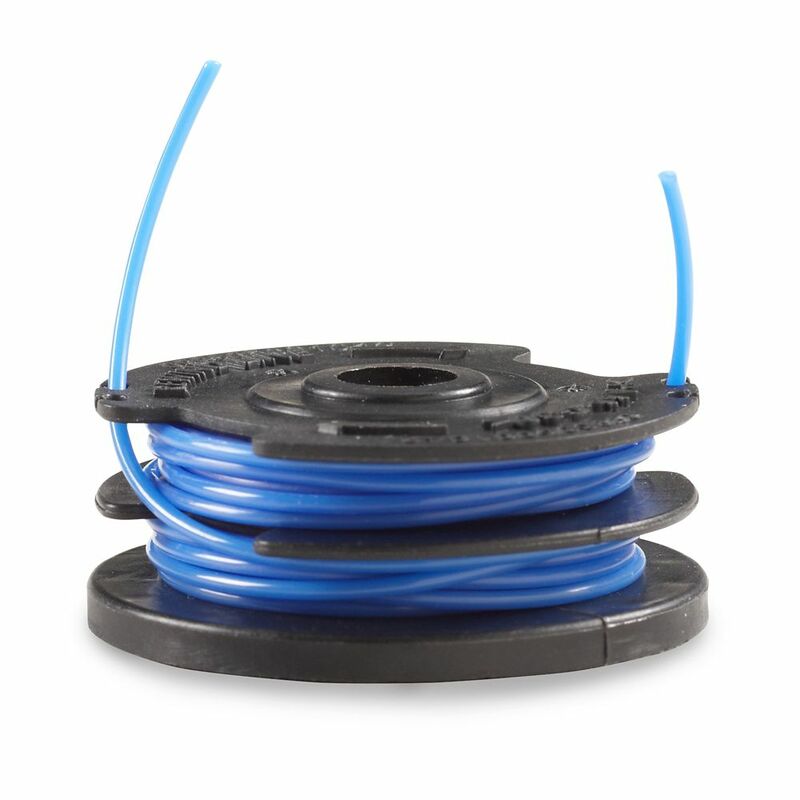 The RINO-TUFF HD trimmer line is engineered to be one of the longest lasting on the market. This Pivotrim Hybrid replacement line pack includes 18 strips of .095 in. Rino Tuff HD trimmer line. Make your Pivotrim Hybrid quick and easy line changes even quicker with per-cut line strips. Hassle free line changes provide you with more time to enjoy your yard. Ryobi knows outdoor power. That's why this Ryobi brand pre-cut .095 trimmer line is just what you need to keep your fixed-line trimmer head cutting strong time after time. Simply insert the convenient pre-cut line, and you are back to work- making those summer chores a breeze. Trust your summer chores to Ryobi Outdoor Products and Accessories. This ONE+ refill cartridge of pre-wound spool is a simple and convenient solution for your Ryobi Cordless Trimmer. Just pop the new pre-wound spool into your trimmer, and you're ready to get back to your yard work. A quick, easy solution, the ONE+ .065 Single Line Spool is ideal for all Ryobi cordless trimmers (18V, 24V and 40V). 0.065-inch Dual Line Replacement Spool for 48V Trimmers With easy, snap-in-place installation, this Toro Replacement Spool gets you back on the job faster. It features a 13-inch dual line cutting swath, powerful and efficient enough to take on challenging tasks. This spool fits Toro model 51488 and comes pre-wound for easy setup.